Fire on the Mountain's newest location has opened on NE 57th Avenue and Fremont St. This is the company's third restaurant/pub, to go with locations on E. Burnside and N. Interstate. 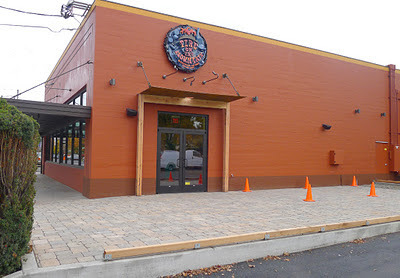 Significantly, the Fremont location is the first Fire on the Mountain location to include a brewery. The brewing operation was put together with assistance from Craig Nicholls, who is providing consulting services to breweries in planning. Nicholls, beer fans will recall, once worked down the street at Alameda Brewing and also operated Roots Brewing in Southeast Portland for many years. Ben Nehrling, previously an award-winning brewer at McMenamin's Kennedy School, will head the brewing program. In-house beers will reportedly be available by the end of November. Management expects to offer five in-house beers and the same number of rotating guest taps. The brewery will also supply other Fire on the Mountain restaurants. On opening day (Monday, Nov. 7), the draft beer list included offerings from Fort George, Upright, Migration, Amnesia, Rogue, Double Mountain, Oakshire, Mt. Hood and Cascade Brewing. Good stuff. The menu at the new location will be similar to the other restaurants, although owners Jordan Busch and Sara Sawicki will add New York-style pizza by the slice at the Fremont location. Typical Fire on the Mountain fare includes salads, sandwiches and hot wings served with custom sauces. Fire on the Mountain III is located in the old R&R Market space on the corner of Fremont and 57th. 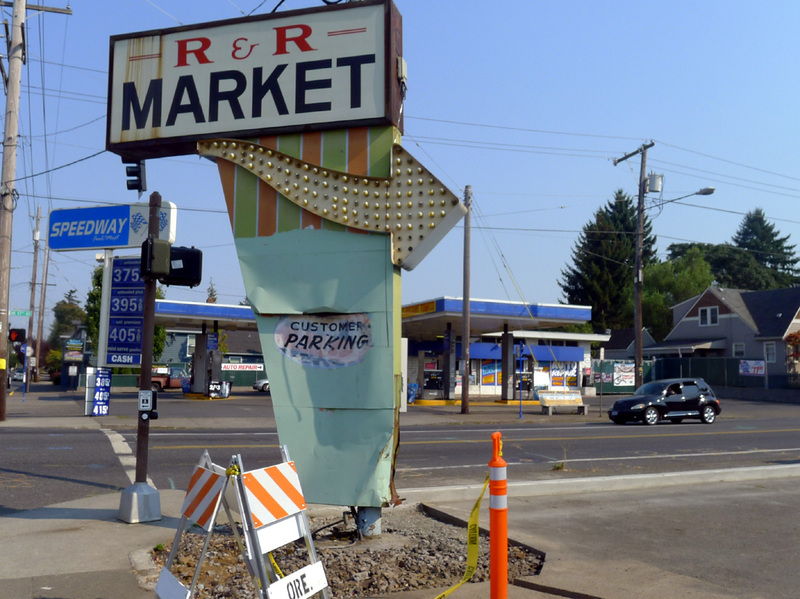 The space was once occupied by a neighborhood Safeway store dating back to the 1950s. Extensive remodeling of the space and parking lot improvements pushed the opening date of FOTM III to November. Owners had hoped to open in September.